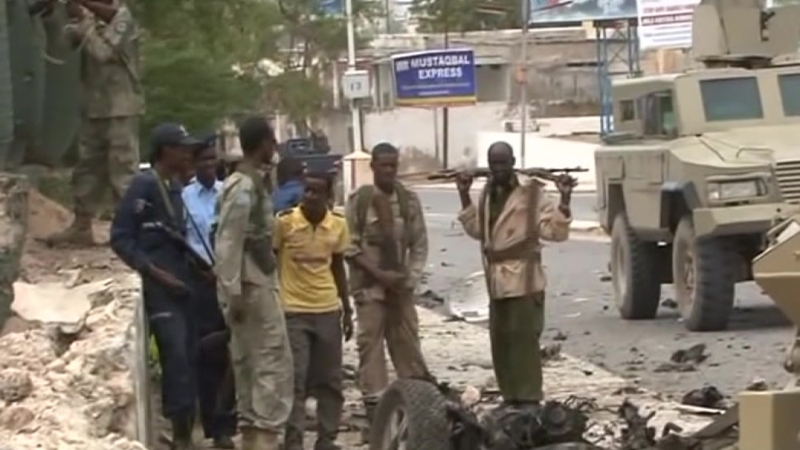 JNN 25 May 2014 Mogadishu : Wahabi Al Shabaab Terrorists stormed Somalia’s parliament on Saturday, killing at least 10 security officers in a bomb and gun assault . This entry was posted in AFRICA and tagged African Union, Al-Shabaab. Bookmark the permalink.